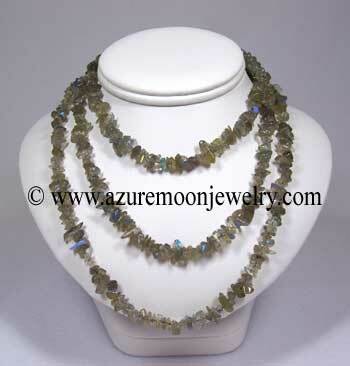 Drape yourself with the power of healing gemstones from the earth with this 36 inch long, endless single strand necklace of genuine Labradorite chips. 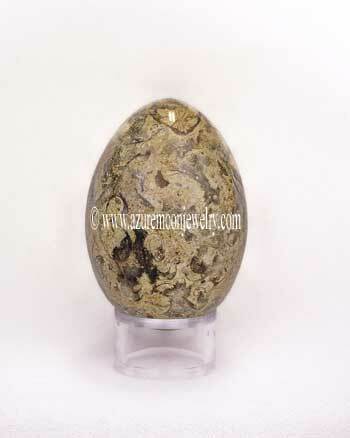 Labradorite is a sixth (brow/third-eye) and seventh (crown) chakra gemstone. Metaphysical Properties: Labradorite assists one in sustaining and maintaining, while providing the understanding of the destiny one has chosen. It also enhances patience and an inner knowing of "the right time". Click here to learn more about the lore and metaphysical properties of Labradorite and other popular gemstones.